Hello Sue, I found your blog in the 'growing food community', what a lovely surprise under mother natures pine needle blanket. 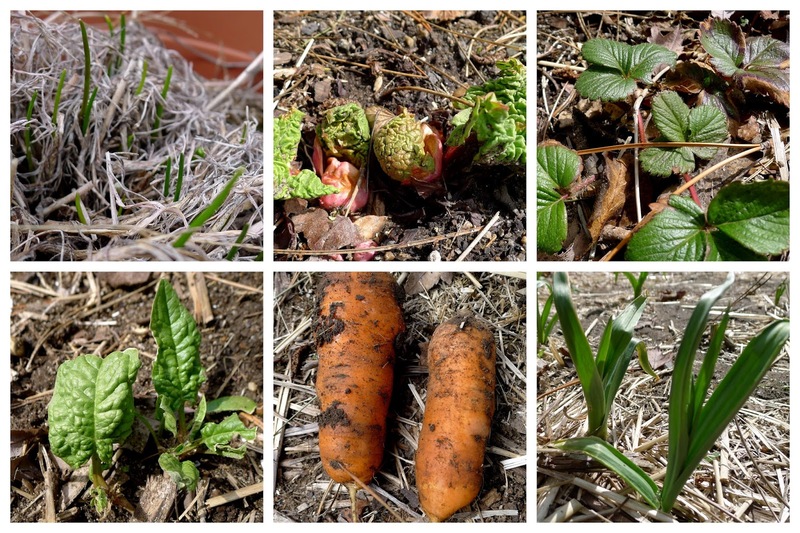 Those carrots look good after all that winter has thrown at them, mother nature is sure amazing. I am from the UK and new to gardening, this year I am going to have a go at tending my poor neglected, very small, back garden. I have sown my first seeds, some flat leaved parsley and some chives, indoors on my windowsill. I am hoping to have an edible patio garden uses pots and baskets. I am also hoping to have a raised bed using the old timber from the decking we ripped out last year. Thank you for your comment! I think it's great you are venturing into growing your own food. Beware, it is addictive! It sounds like you have a solid plan for your first garden. What part of the UK are you from? I spent most of my childhood in Somerset then went to University in Norwich.